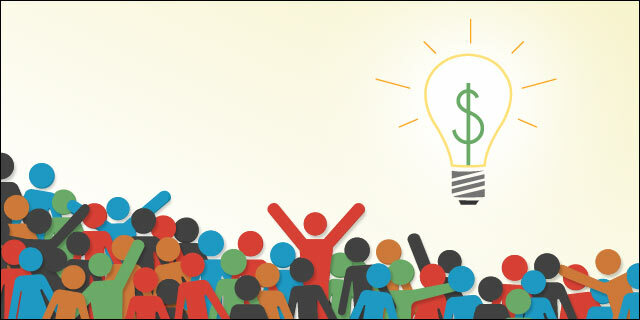 Crowdfunding is not new to businesses. You have likely seen or participated in campaigns to help companies bring their idea to market or to grow their business. In return for a small investment, you receive a product, gift or service in exchange. This is known as rewards-based crowdfunding, which began to become a viable avenue for raising funds for businesses in 2009 with the launch of a number of crowdfunding platforms like Kickstarter and Indiegogo. With new rules from the SEC, crowdfunding is now getting an upgrade. Equity crowdfunding allows a business to seek capital from a diverse group of investors through a “funding portal” and provides investors with an equity stake or stock in the business. Crowdfunding transactions are exempt from the complex and expensive securities registration process. These transactions could be a simpler equity financing option for small businesses; however, the total costs that small firms will incur from a crowdfunding offering are still unclear. WIPP has been a strong advocate for finalized crowdfunding rules, having included the priority in the recently issued Access to Capital Platform. The SEC’s rule will allow small businesses to raise capital through investment without triggering federal securities laws and registration requirements. For more information, please see SEC Chair Mary Jo White’s statement on Crowdfunding regulation. This entry was posted in Access to Capital, Regulations and tagged Access to Capital, crowdfunding, Equity crowdfunding, equity financing, Jumpstart Our Business Startups (JOBS) Act, SEC, Securities and Exchange Commission by Women Impacting Public Policy. Bookmark the permalink.